BASF will launch Axar Flowable and Imtrex Flowable in Japan, two new fungicides powered by BASF’s innovative active ingredient Xemium (fluxapyroxad). 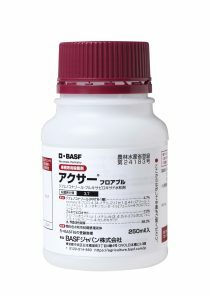 With the introduction of these two next generation fungicides from BASF, farmers in Japan will for the first time be able to enjoy strong and long-lasting control against several common crop diseases. Targeted for specialty crops, Axar Flowable fungicide is effective against a variety of major crop diseases, including Monilinia, Scab, Black spot, and Brown rot in apple, pear, and peach. Combining the power of Xemium with difenoconazole, its multiple modes of action also make it an effective tool for resistance management. Launch is scheduled in March 2019. Imtrex Flowable fungicide is a single agent formulation of Xemium for field crops which is used to control major wheat, potato and sugar beet diseases. 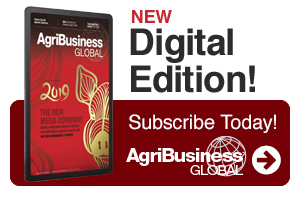 It is especially effective in controlling diseases, such as Snow mold in wheat and Leaf blight of sugar beet, which have been problems for farmers in Hokkaido. The product will be available in the market in the fourth quarter of 2019. Xemium sets a new standard for controlling a broad spectrum of pathogens in many field crops and specialty crops. Exhibiting excellent translaminar efficacy and systemicity, Xemium spreads all parts of the plant, including the back of the leaf surface and inside the leaf. Xemium’s unique properties also allow it to remain present and active on the plant surface for a longer period of time, ensuring complete and continuous disease protection.